The Ministry of Education launched its 2019 Mashramani Band under the theme “Stepping into the future with Education Technology”. The designer for this year’s band is Mr. Nelsion Nurse. The Ministry will be competing in the small band category on Mashramani Day February 23, 2019. Mr. Nurse said that education is very important and technology has been playing a major part in education. He said that learning continues even after children leave school in the afternoons since much of the information they need to know is readily available online. 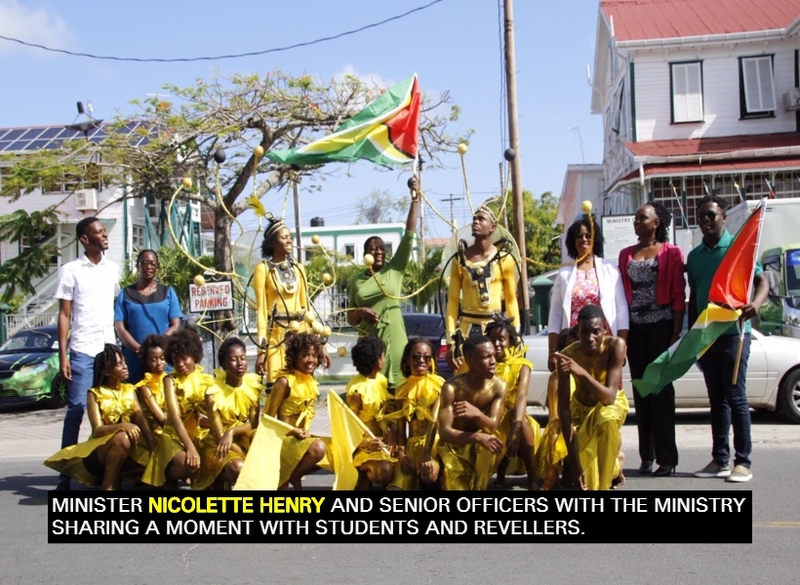 Minister of Education, Nicolette Henry, encouraged her staff to step out on Mashramani Day and ensure that they live up to the traditions of Mashramani and by extension take time to have fun. Before the official launch of the Mashramani Band, students from the St. Stanislaus College performed on Brickdam clad in their costume depicting their representation of El Dorado. After the launch, the Buxton Pride Steel Orchestra entertained the audience with several musical renditions. The Ministry of Education will be backed by the Fame Band led by Guyanese artiste Kwasi ‘Ace’ Edmondson come February 23rd. Mashramani 2019 is being celebrated under the theme: “Celebrate Mash 49 with Victory in Mind; Re-discovering El Dorado”.